Talk about a long history with something?! 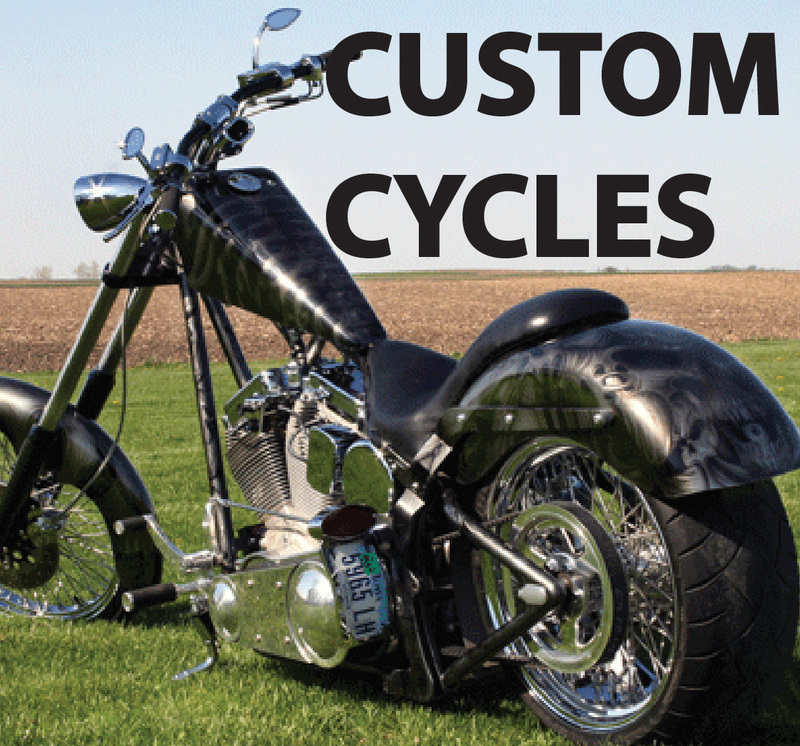 Shawn has painting, he figures, over 10,000 custom motorcycles over the past 15 years. He owned a custom paint shop for about nine years and knows how to paint anything, on nearly anything. From the Iowa Lottery Hawkeye bike, to the Jack Daniels bike, to many many more. Feel free to peruse his gallery to see some examples. He is more particular these days in what he chooses to paint, but that just means the customer gets better quality over quantity any day of the week.